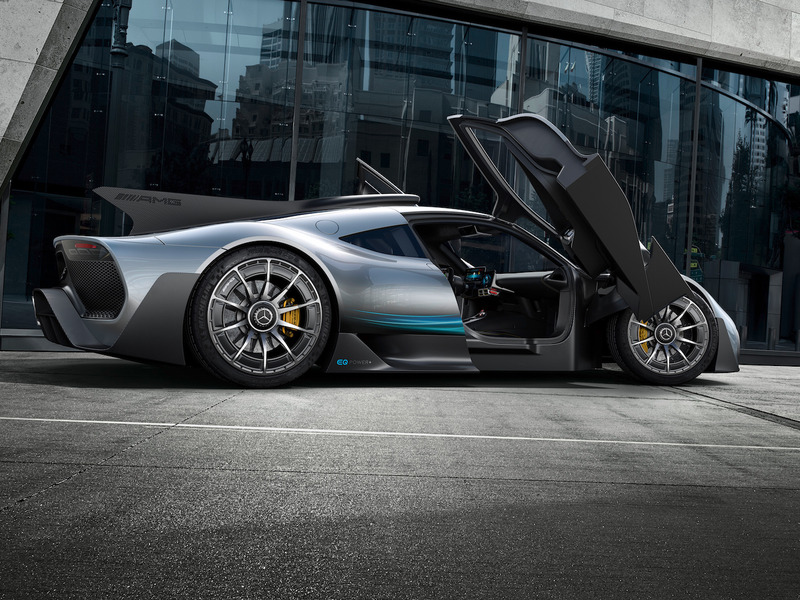 On Monday, Mercedes-AMG unveiled its long-awaited Project One hybrid hypercar concept ahead of the 2017 Frankfurt Motor Show. The Project One is packed with technology from the company’s back to back to back World Championship-winning Formula One team. “Motorsport is not an end in itself for us. Faced with intense competition, we develop technologies from which our production vehicles also subsequently benefit,” Mercedes-Benz chairman Dr. Dieter Zetsche said in a statement. 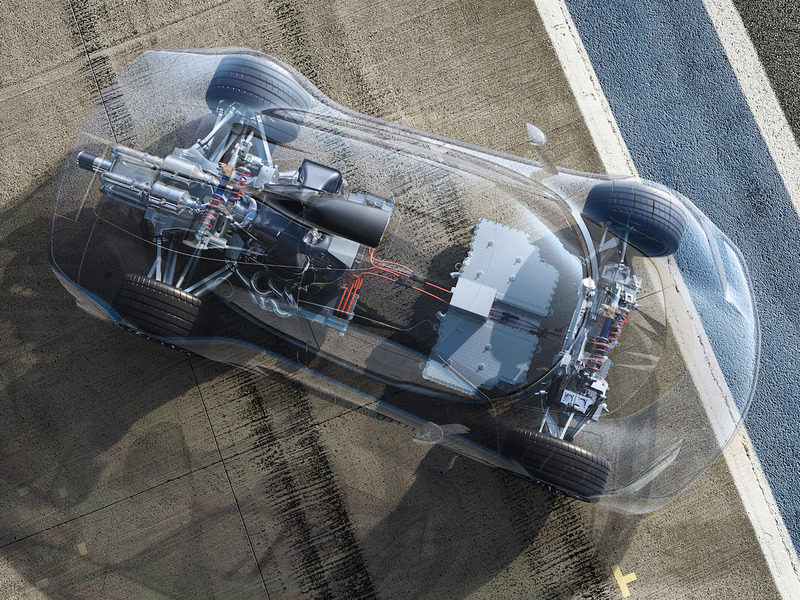 At the heart of the Project One is a hybrid drive unit lifted directly from Mercedes-AMG’s Formula One racer. In total the drive unit can produce more than 1,000 horsepower. The system consists of a 1.6 liter, turbocharged V6 engine with an atmospheric red line of 11,000 RPMs. The engine’s crankshaft is attached to an electric motor that can virtually eliminate turbo lag while generating electricity by harnessing the engine’s kinetic energy. In Formula One circles, this electric motor is called the Motor Generator Unit Kinetic or MGU-K. The engine and MGU-K duo drive the rear wheels while producing more than 670 horsepower. The engine features a split turbocharger design that keeps the hot exhaust gasses that power the turbo away from the compressor, thereby leading to more power through cooler and denser air being fed into the engine. The two sides of the turbo are connected by a shaft, which itself is equipped with a 121 horsepower electric motor capable of powering the compressor in case there isn’t enough boost coming from the exhaust gasses. 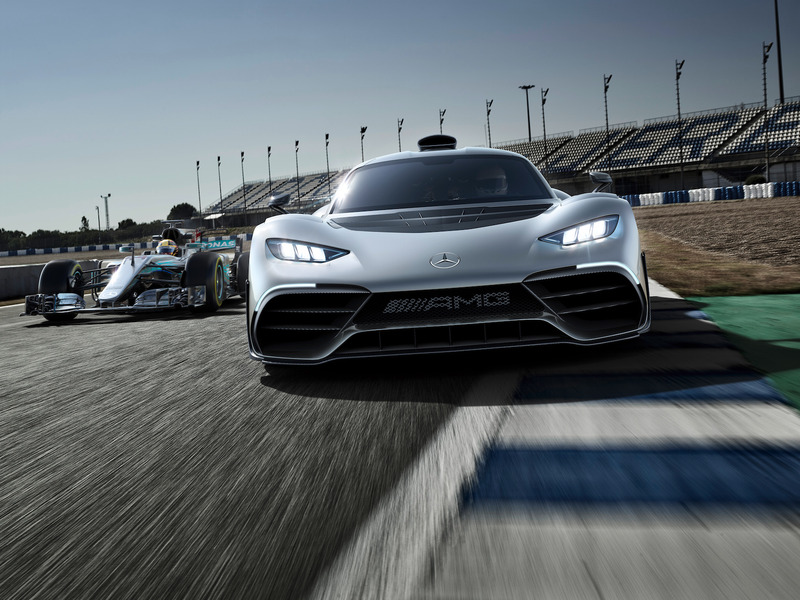 The folks in F1 call this electric turbo the Motor Generator Unit Heat or MGU-H.
Additionally, Mercedes installed two electric motors, each producing more than 161 horsepower, on the front axle of the Project One, thereby giving it a virtual all-wheel-drive system with true torque-vectoring capabilities. That’s right, the Project One has one engine and four electric motors. The Project One features an automated AMG-Speedshift eight-speed manual transmission. And the performance figures are staggering. Mercedes-AMG declined to release a 0-60 mph acceleration time. However, the company claims the Project One can reach 124 mph in less than six seconds and reach a top speed of more than 217 mph. With a full lithium-ion battery pack, the Project One has an all-electric range of 25 miles. All of this advanced Formula One technology comes at a price. The Project One starts at €2.275 million or $2.72 million with production cars expected to arrive sometime around 2019. Sadly, if haven’t ordered one, you are already too late. All 275 production Mercedes-AMG Project Ones have been spoken for.